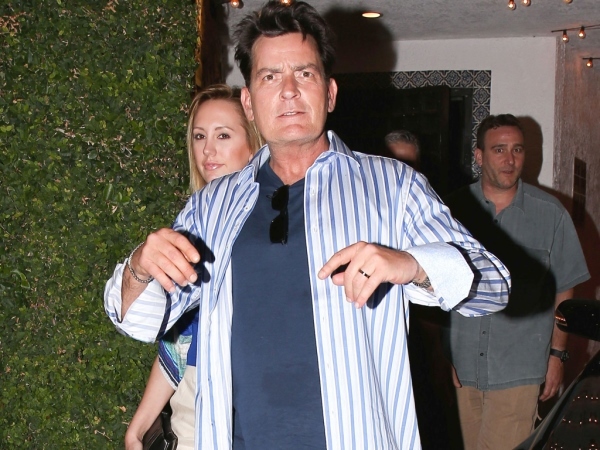 Charlie Sheen: Denise is a despicable charlatan! Charlie Sheen has called ex-wife Denise Richards “a piece of sh*t”. The former Two and a Half Men actor has two children with the 44-year-old actress, daughters Sam (11) and Lola, ten. Their relationship has had many ups and down since their split in 2005 and on Father’s Day, the 49-year-old launched a bitter tirade against his former spouse. “open letter to the media: Denise Richards is a shake down piece of sh*t doosh phace & worst mom alive! a despicable charlatan who sux ISIs a*s!!!! (and c**k) f*k it I'm out (sic)” he wrote on Twitter. The star’s words followed an earlier post where he called Denise “a heretic washed up piglet Shame pile(sic)”. While he had choice words for her, he used his first message to compliment his most recent ex-wife, Brooke Mueller, with whom he has twins Bob and Max, six. But his fury towards the Drop Dead Gorgeous actress refused to wane and hours later, he elaborated on his feelings towards her. “I have paid that Klay-Vinnik leaky diaper over 30 Mil and she calls me a DbD! see u in court you evil terrorist sack of landfill rash,” he continued. “this gangster Sheenius will be Winning! Duh!! really grandma? I'm the ARCHITECT OF THE TERM YOU LEAKY AND MALARIA RIDDLED PUDDLE OF SH*T STINK DECAY!! and now I'm out (sic)”. Charlie’s anger could be based around his access to his daughters, as he alluded to being unable to see them on Father’s Day in another tweet. “Cadre: on FD; Father’s Rights! I INSIST we devour the mendacity of these “kidnapping” D Richards “types” & bring justice to “us”© #TtIrN (sic)” he added.